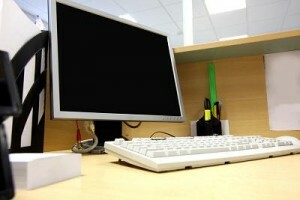 HomeComputer CleaningHire a Professional Cleaning Company to Protect Your PC equipment? Hire a Professional Cleaning Company to Protect Your PC equipment? It is absolutely essential to your business for pc equipment and computers to be kept in a good working condition so they can stand the test of time. Because of this, it is very important to your business, that these office pc equipment to be properly maintained and cleaned regularly. And one the best ways for your company to do this is by hiring a professional cleaning service that specializes in office technology cleaning, computer cleaning and pc cleaning. Your computers are important investments that need to be protected so it is important that your company take all the necessary precautions to ensure that you are not replacing expensive office equipment every few years. And the best way to do this is by hiring a commercial cleaning company that specialises in cleaning office equipment and computer cleaning. Fastklean cleaning company will not only clean your office from top to bottom, but will also carefully clean each piece of office technology you may have, ensuring a proper life cycle for all your equipment. This way, not only will you have a sparkling and well organized office space, but you will be saving your company thousands of pounds by properly caring for your office’s electronics.